Creapure Creatine Monohydrate is a pure form of creatine, a substance which is produced naturally by the body. It is used by muscle cells during short term, high intensity exercise. Supplementing with creatine increases physical performance in such situations.† Creatine Mono Creapure is the genuine finest grade creatine monohydrate produced by Alzchem. It is widely recognised as the purest and highest quality micronized creatine on the market today. Its micronized particles offer several benefits, not least faster absorption and digestion in the body. Whilst creatine is produced naturally by the body and is also obtainable through dietary sources such as red meat and salmon, a quality supplement offers a more concentrated benefit. Creapure is the premium brand for creatine worldwide combining high-quality raw materials with a strict engineering and testing process. †The beneficial effect is obtained with a daily intake of 3g of Creatine. You must be 18 years or older to purchase this product. Loading Phase: Take 5g (approximately 1 level 5ml measure) and mix with 500ml of water, fruit juice or meal replacement, 4 times a day at regular intervals, for 5 days. Maintenance Phase, Take 5g (approximately one lebel 5ml measure) and mix with 500ml of water, fruit juice or meal replacement. Consume one serving daily. 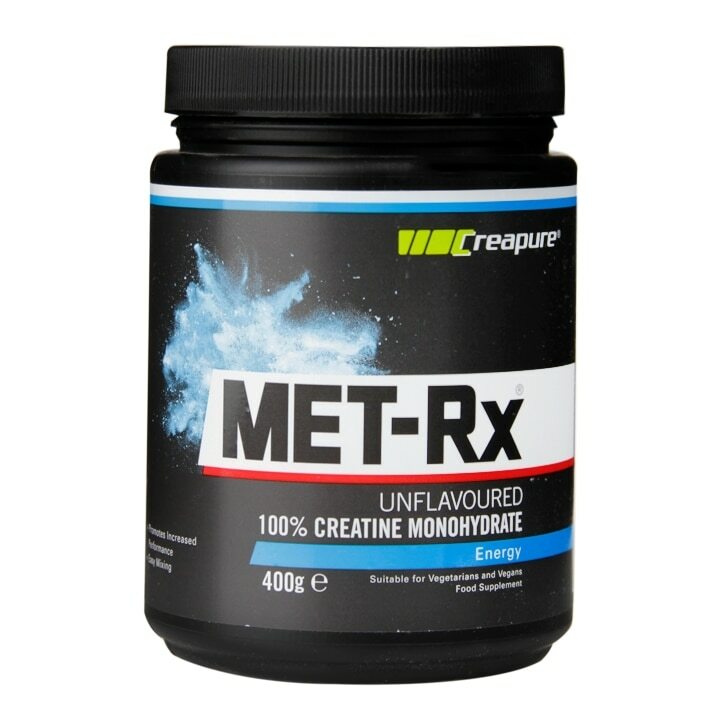 MET-Rx Creapure Creatine Monohydrate is rated 5.0 out of 5 by 1.